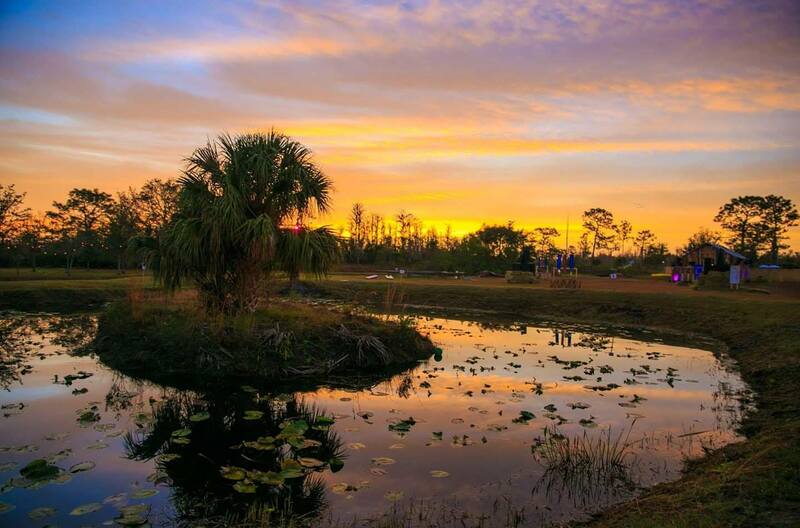 It’s been a rough year for festivals in Florida. Ultra Music Festival was forced to change venues after the city of Miami chose not to renew their event permit. 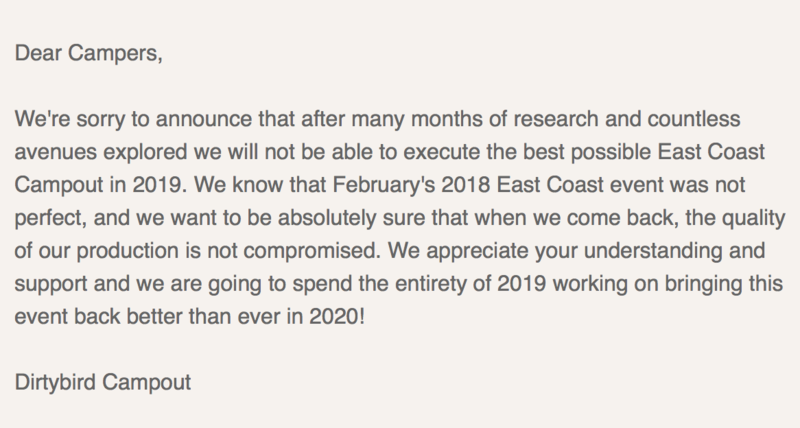 Okeechobee is cancelled and now Dirtybird is announcing that after one year that Dirtybird East Coast Campout will not happen in 2019. 2018 saw the inaugural edition of the East Coast Campout. But unfortunately the event did not go according to plan. Due to incorrect permits and unhappy locals, the first day of East Coast Campout was forced to shut down. Although the festival resumed for days two and three, the PR damage was done. Another big reason for cancelling 2019’s East Coast Campout is undoubtedly Dirtybird splitting ways with Do Lab. Although they had originally been partners in getting Dirtybird Campout up and running, Do Lab is no longer providing that support for the California based tech house label. As is typical with festival cancellations, it’s not cancelled but simply “taking the year off”. More often than not that ends up being the last word from the festival before it rides off into the sunset. Who knows, but when we hear more we’ll keep you posted. You can read the full statement from Dirtybird below. Previous articleRihanna Collabs with Top DJs For Newest Album!